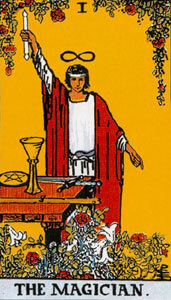 Synopsis: The Victorian and post-Victorian response to the conundrum of twenty-two Hebrew letters and twenty-two Tarot trumps: change the Hebrew letters and leave the Tarot cards alone. 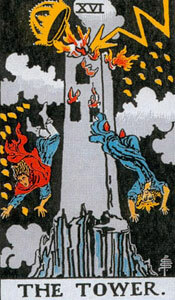 There is no historical proof that the 22 trumps of the tarot were originally connected to the Hebrew Alphabet. But a more significant question might be: if the trumps are not tied to the Hebrew alphabet, what else might 22 trumps signify? After a long search through medieval number symbolism, I came to the uneasy answer: Not much. ... 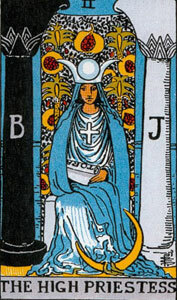 The tarot trumps, or at least the original 22 symbols which now comprise the trumps, may have functioned as a sort of changeable key to a cypher based on the Hebrew alphabet. 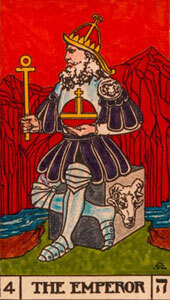 The attribution of the major trumps to the Hebrew alphabet is the crux in Tarot study. Eliphas Levi knew it, but could not give it, because he received it from a secret order. He did, however, announce the fact that the major trumps correspond to the Hebrew letters, and then proceeded to give an attribution so patently absurd that one wonders how it ever gained credence. 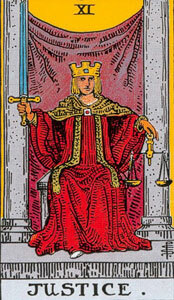 The supposed Hebrew symbolism of the Tarot ... becomes disorganized if there is any doubt as to the attribution of its Trump Cards to the Hebrew Alphabet ... there is one card which ... has been placed in all cases wrongly ... 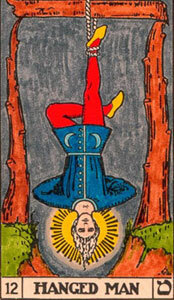 I may go further and say that the true nature of the Tarot symbolism is perhaps a secret in the hands of a very few persons, and outside that circle operators and writers may combine the cards as they like and attribute them as they like, but they will never find the right way. 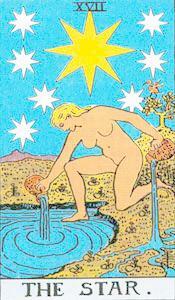 The true significance of the Atus of Tahuti, or Tarot Trumps, also awaits full inderstanding. 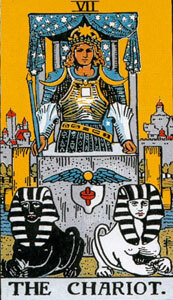 I have satisfied myself that these twenty-two cards compose a complete system of hieroglyphs, representing the total energies of the universe. 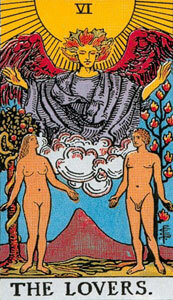 In the case of some cards I have succeeded in restoring the original form and giving a complete account of their meaning. Other, however, I understand inperfectly, and os some few I have at present obtained no more than a general idea. 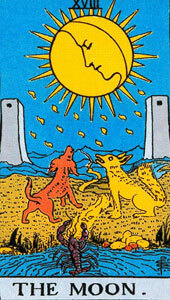 "Rearranged" means the astrological planet was changed to with agree the symbolism of the Tarot trump and to disagree with its Hebrew formative letter. This had the unfortunate side-effect of also changing the classical astrological/geocentric ordering of the planets. No justification was given for this, except that the Jews and ancient astrologers were apparently wrong about their own traditions. For example, a translation of the Sepher Yetsira by Westcott using the 18th century Gra version of the Sepher Yetsira (the only one that attributes the Moon instead of Saturn to Bayt) (emphasis added). Beth (B, value 2) means "house." The first thing about a house is its location, determined by survey, an application of geometry. In its building, architecture, geometry, adaptation of materials, and many other practical applications of science are involved. Time was when the whole art of building was called a "mystery," and was under the direction of the priests of Thoth-Nebo-Hermes-Mercury. House-building is part of Hermetic science, and survivals of this idea are preserved in the rituals of Freemasonary. The first paragraph, long-winded and vague as it is, sets up the conclusion, that Mercury (the obvious "hermetic" association with the Magician) corresponds to Bayt, the second letter. However, the "first thing about a house" (note the distortion) is not its location, but its function as dwelling and shelter, or container. 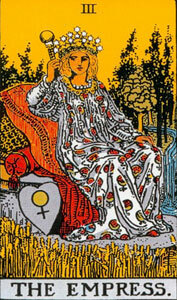 Saying the basic meaning of a house derives from the ground that it sits on is pure casuistry and typical of the convoluted symbolic rationalizations we are confronted with in most Tarot writing. (This is) in what manner was bestowed (the) kingship on Aut (Bayt) in (by) Hhaim (the living) and bound (a) crown on it and created with Schabatai (Saturn) in the universe and Yom Rischon (the day of principle) Beshinah (in the transformation) and Ein Yamin (right eye) (in the individual). 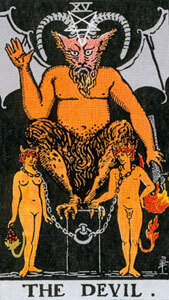 He made the letter Bet King and bound to it a crown and tested this one with this one, and formed of it: Saturn in the universe, the Sabbath in the year, and the mouth in the soul. Five of six extant versions of the Sepher Yetsira list Saturn as corresponding to Bayt. 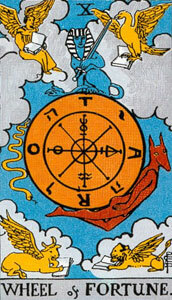 One (the 18th Century Gra version) attributes the Moon. None attribute Mercury to Bayt because they know Mercury's actual place, as formative of Raysh, the twentieth letter. 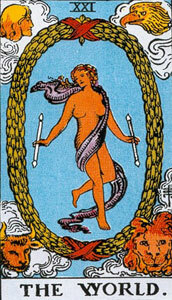 The Tarot Major Trumps correspond to/are derived from the Hebrew alphabet in a one-to-one relationship and are mapped to the seven planets, twelve zodiacal signs and three elements (fire, water,air) by primary qabalistic texts like the Sepher Yetsira and Shiur Komah. 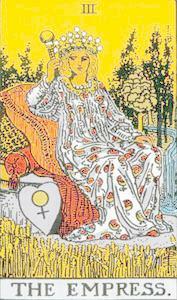 By returning to the root symbolic system, the tarot sequence can be corrected and understood as a coherent whole, and the Tarot itself a key to a larger, coherent language of semantically-accurate (non-arbitrary) symbols, which actually embody and project the energies they describe. 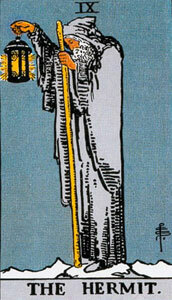 The cards then "interpret" themselves, because that is their true nature. 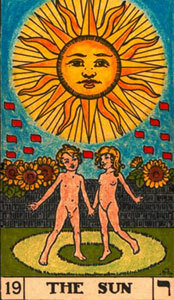 Reviewing, it appears that the symbolic system called the Tarot was created, based in Yetsiratic astrology and medieval iconography and "locked" (the seven doubles were scrambled and Strength and Justice were switched) and put into the public domain in the late 14th or early 15th Century. The order, sequence and numbering varied in early versions, though by 1650, the Morgan-Pierpont Tarrochi shows the traditional pattern, with Strength and Justice reversed. 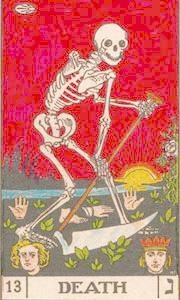 Beginning in the 1800's, various (French) authorities offered interpretations of the esoteric meanings of the Tarot, all based on only one version of the Tarot (Tarot de Marseille) and claims to understand a language with seven letters apparently misplaced. Egyptian and magical elements were added to fill in for real understanding. The current orthodox sequence appears to be derived from a final codification by the Golden Dawn Society in the late 1800's. Macgregor Mathers, an English Mason and occult researcher, discarded the planetary attributions of the Hebrew source text, the Sepher Yetsira, for his own inspiration, and assigned new correspondences for seven letters in the Hebrew alphabet. 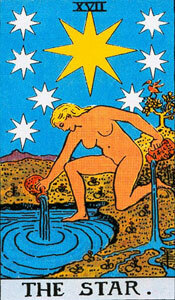 This was an attempt to reconcile the traditional sequencing with "obvious" contradictions in astrological symbolism. 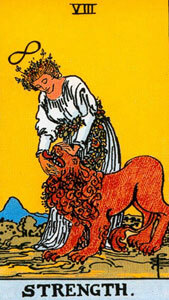 To this end, Strength and Justice -- the two encoded zodiacal trumps, Leo and Libra -- were switched because of obvious symbolic contradictions. 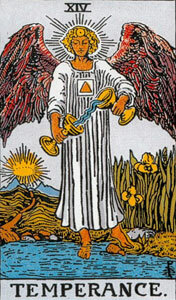 The contradictions in the symbolism and formative letters of the planetary trumps were equally out-of-sync with the Sepher Yetsira and classical attributions, but were not touched; instead, a Hebrew tradtion thousands of years old was changed to fit the apparent sequence of the tarot cards. And the planets were moved instead of the cards. 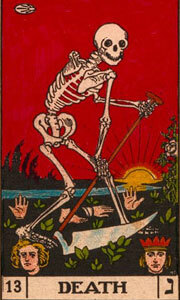 The eighteen-year life span of the Golden Dawn is merely a passing hour in relation to the history of Tarot. But in this case, it was a very significant hour. The effort the Golden Dawn undertook to create the impression of having an authentic body of teachings and practices was so convincing and so thorough that they singlehandedly managed to call into question the veracity of the two previous centuries of esoteric scholarship. How were they able to so convincingly package their version as part of the historical record? For one thing, parts of the cypher manuscript were inscribed upon antique paper, giving it the right look of venerability. 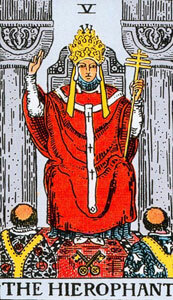 Also, its creator used a great deal of the older Christian Cabbalah paradigm that had been inherited from the Renaissance magi and the first and second century Hermeticists. 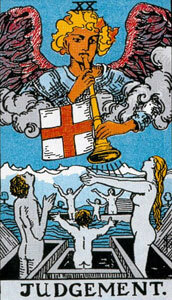 In all honesty, however, the changes the Golden Dawn founders and followers instituted upon the Renaissance model rendered it no longer either Christian or Cabbalah (see "Kabbalah/ Cabbalah"). 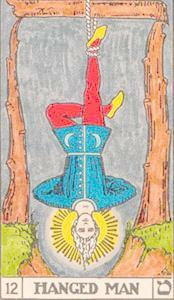 From Christine Payne-Towler's forthcoming book, The Underground Stream: Esoteric Tarot Revealed. Crowley, Case and Achad suggested alternative attributions in the first half of the twentieth century. A good brief history of tarot sequence/letter attribution (and confusion) can be found in Gareth Knight's "A Practical Guide to Qabalistic Symbolism" Book II, Section 4, Part 1, The Greater Arcana (Helios, 1972). 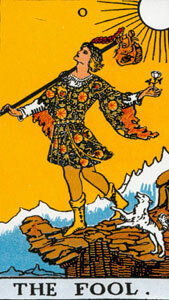 See also Payne-Towler | Villa Revak | Crystalinks | Also, a history of individual trumps by Tarot Hermit. Ronald Decker: A Wicked Pack of Cards: The Origins of the Occult Tarot, St Martins, 1992. Reviewed here.